The sisters rescue and tame wild horses and this book, written at a young adult level is loosely based around a story from Vicki Wilson’s childhood. Vicki hears about a horse that is destined to be put down as he is thought to be too bad-tempered. But Vicki believes that his problem stems from being mishandled and mistreated when training. The sisters work hard to raise the money to recue Casper and give him his second chance, but will any of that do any good if Vicki can’t undo the years of mistreatment and overcome Casper’s mistrust of humans? Another fun read that any pony-mad tween will love. 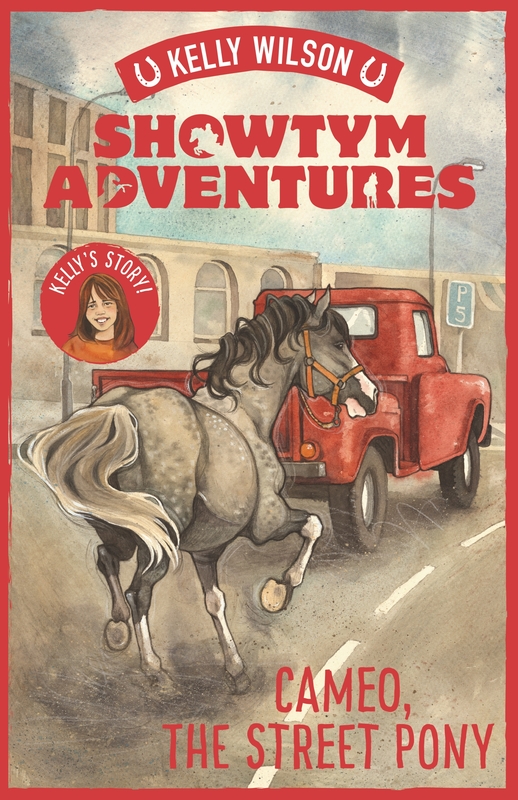 When nine-year-old Kelly Wilson outgrows her pony, her mum surprises her with a beautiful steel-grey mare that she spotted trotting down the street, tied to the back of a truck. But there’s a catch. Cameo has never been ridden! 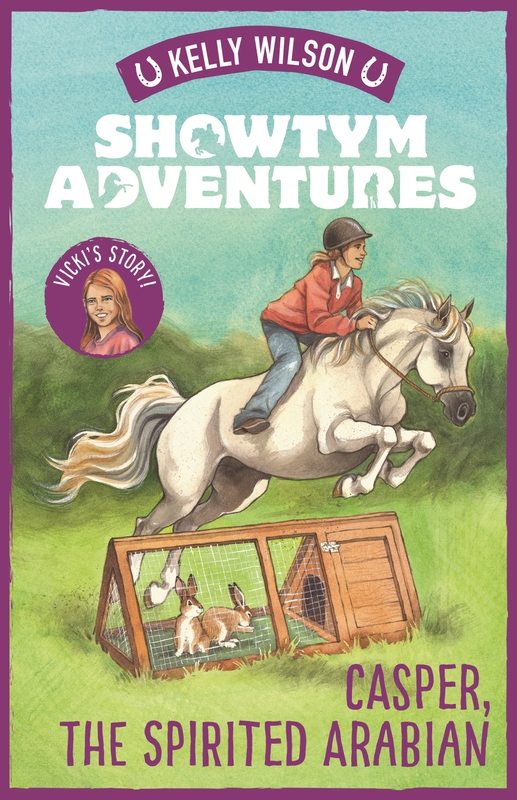 While her sisters Vicki and Amanda are jumping higher than ever before, Kelly must face her fears on an untested pony. Will Cameo ever be ready for competitions? And will the girls’ ponies hold their own against the purebreds at the Royal Show? 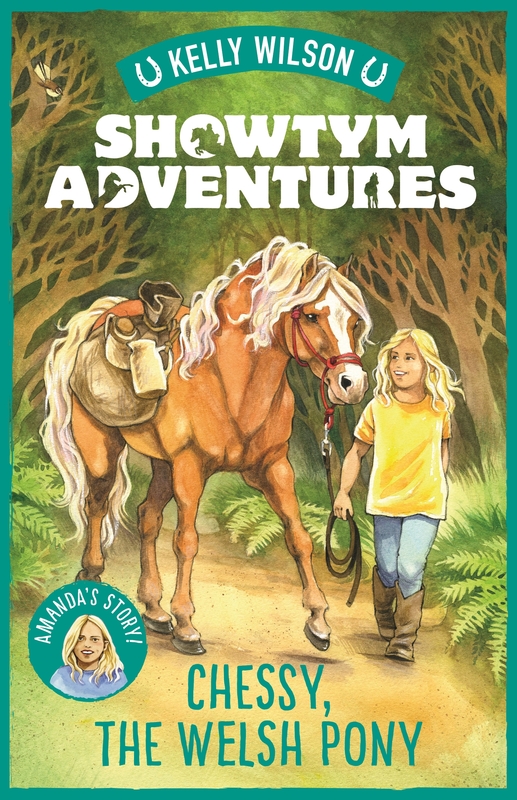 A sequel to Dandy, the Mountain Pony, this exciting story of setbacks and success, in which Vicki, Kelly and Amanda Wilson first experience the thrill of serious competition, is inspired by the Wilson sisters’ early years. The sisters rescue and tame wild horses and this book, written at a young adult level is loosely based around a story from Kelly Wilson’s childhood. A street pony is one literally bought off the street. However good looking and healthy, this is an untried pony that may not take to competitive showing. Especially when it turns out that Cameo the pony has never been ridden! Kelly has to train Cameo to be ridden and compete from scratch. Fortunately most horses in a proper, caring, training environment, enjoy learning and love showing off. But will Cameo ever be ready in time for the competitions where she and Kelly will be up against purebred ponies that have been doing this for years? I really enjoyed the story. It was a good example of how you need to keep trying and very cool to see the trust grow. I enjoy the Showtym Adventures and look forward to the next. When nine-year-old Vicki Wilson’s beloved lease pony is sold, she is heartbroken. Her family doesn’t have much money, and she is desperate to have a pony of her own so she can keep riding. Then Vicki has the chance she has been waiting for, to tame and train her own wild pony! How will she earn the trust of her beautiful new chestnut? And will Dandy ever be quiet enough for her to ride at Pony Club or compete at Ribbon Days? 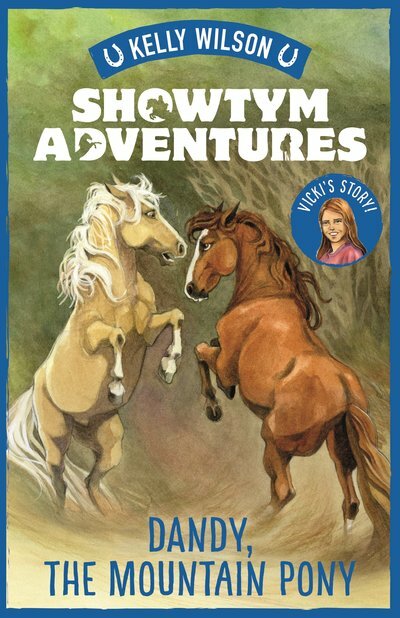 This story is inspired by the Wilson Sisters’ early years, where Vicki, Kelly and Amanda Wilson first encounter horses in the wild and learn what it takes to make them champions. This is a book from Kelly Wilson of the Wilson sisters who starred in Keeping up with The Kaimanawas. A family who have devoted their life to horses, they compete in show jumping as advocating for wild horses around the world. This is done by taming and raising awareness about the plight of the American Mustangs, Australian Brumbies, and specifically the beautiful wild Kaimanawa horses near their home. They also run Showtym Camps, riding camps for young riders. The sisters rescue and tame wild horses and this book, written at a young adult level is loosely based around a story from Vicki Wilson’s childhood. The family could not afford to buy fully trained ponies and if the children wanted to ride they had to learn to train horses from scratch. Dandy the wild mountain pony must be properly trained and tame enough to compete at Pony Club and Ribbon Days. No easy task, as you have to be a special person to gain the trust of a wild horse and gently lead it to be good around other horses, as well as the small matter of being able to ride and show jump with it! Fortunately most horses in a proper, caring, training environment, enjoy learning and love showing off. But there is always a risk when you start with a wild pony. Especially as Dandy was the first wild pony the sisters got to train. For all her courage and determination and skill, will Vicki be up to the task?